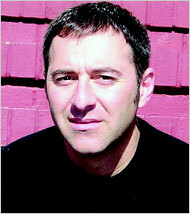 Matt Richtel’s first novel, Hooked was published in 2007, since then he’s been busy authoring a syndicated comic strip (under the pen-name Theron Heir), winning a Putlizer prize for a New York Times series he wrote on distracted driving and working on his second just-published novel Devil’s Plaything which made KUER’s recent summer must-read list. Matt took time out from his hectic promotional schedule to give The King’s English (TKE) an interview. TKE: How long have you been working on Devil’s Plaything and did technology have to catch up to make the story work? 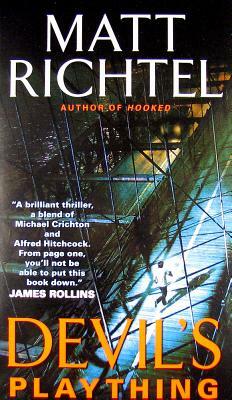 Matt Richtel: Three years. I had a sophomore slump in the sense that Hooked, my first book, poured out of me in five months. A very efficient muse, that one. And, to your point, technology absolutely evolved in the course of writing Devil, to my advantage. My conspiracy floats on the edge of reality and the more technology advanced, the more the conspiracy in this book neared reality. I hope that makes it chilling. TKE: You’ve said in interviews that Nat’s character shares some of your DNA. How about the feisty character of Lane? Did she come from your imagination or is she based on a real person? MR: My paternal grandmother, Annie, while not feisty, is a zealous liver of life. She’s also a grammar hound, much like my fictional grandmother Lane. And Annie is a great friend of mine. But Grandma Annie, far from suffering dementia, is entirely in her right mind. At 94! She’ll kick your rear at online scrabble, honest. TKE: When asked to describe the role technology plays in your life you’ve been quoted as saying ‘balanced, with borderline troubling tendencies.’ Have you scaled back on the multi-tasking as a result of writing Devil’s Plaything? MR: Yes and no. My writing of Devil’s Plaything dovetailed with lots of research I’ve done into the topic of heavy multi-tasking for the New York Times. It also dovetailed with me having two kids (my wife did most of the work). That research for the Times both informed the book and informed how I live my life vis-à-vis technology. I try to be more focused on a given task and, in particular, on my kids. I TRY to keep the device at arm’s length. But I can’t believe how often I sometimes check it, sneaking a peek while my kids are well within eye-shot, mid-playtime with them. Not good, daddy. Not good. TKE: Researchers are always quoting that we only use one tenth of our brain’s storage capacity. Do you think it’s possible that in a few generations time the human brain will have evolved to process multiple streams of information without needing any downtime? MR: I do not. Evolution happens over many, many generations. Our brains, for sure, ADAPT to various circumstances and we’re certainly adapting now, emphasizing some skills over others. But the basic question you ask is a great one because we’re really demanding that our brains do something they’re not built to do: multi-task. The rubber is hitting the road (no distracted driving word play intended). TKE: With all the convenience our high-tech gadgets bring, are we in danger of becoming reliant on a push-button world? Bearing in mind that the average user has no idea exactly how their mobile devices work or what information they are collecting about us. MR: I hear parents talk about how their kids can’t do math but can use calculators like nobody’s business. Witness the McDonald’s clerk, pushing buttons of pictures rather than making change in his/her head. Much of this can be fairly justified by convenience. But I think that knowing underlying skills remains essential. This is a slightly different question than the one you ask about whether our data is being collected. That too is a development journalists and public policy folks and everyday citizens are rightly following closely. On the face of it, it’s scary. But it’s also nuanced. People are sharing lots of information about themselves – whether on Facebook or whatever – and they’re doing it willingly and with enthusiasm. Clearly, this is a problem when this info is used in a way that the discloser didn’t intend or was told it would be used. But that line feels murky today. TKE: Your Pulitzer-winning New York Times series “Driven to Distraction” got the term ‘distracted driving’ into Webster’s. What do you make of Utah’s drivers? MR: I can’t comment on that. I don’t have enough data to be journalistically sound. TKE: After the events of Hooked, do you still write in coffee shops? MR: I’m writing in one now. Hey, a woman’s putting a folded note on my table. GOTTA GO! An estimated 30% of all men in Great Britain aged between 20 and 24 in 1911 were dead by November 11, 1918 at the end of what was called the Great War. It was a rare family that had not lost a father, a brother or a son. Adding in cousins, uncles and nephews, there was probably not a single family that did not have a loss, and many were decimated. Ultimately betraying the promise that it was “a war to end all war,” World War I ravaged Great Britain and opened the door for societal change that was earth-shattering. 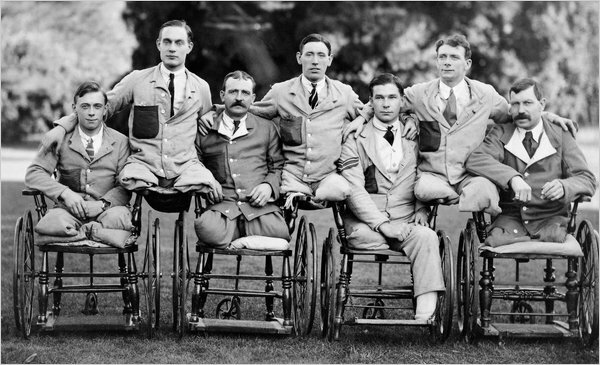 Many soldiers many returned to Great Britain with terribly disabling wounds (the treatment of which brought about great progress in the new art of plastic surgery) or with shell shock, in these days referred to as post-traumatic stress disorder. At the eleventh hour of the eleventh day of the eleventh month, a victorious, but inexpressibly weary nation at first could hardly believe the war was over. A year later, signaled by church bells, sirens, and all manner of other noise, silence cloaked Great Britain for two minutes. Not a train, car or carriage moved, as the whole of the nation paused to remember those who had sacrificed so much—the soldiers, the women at home, the children. For many, and perhaps for the country, it was a sign of completion, and a notice to go on with life. 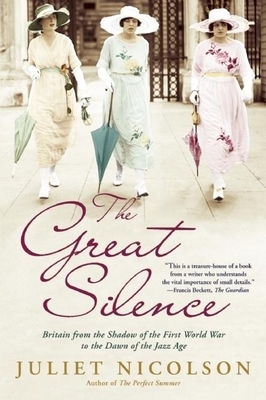 Packed with facts, but also possessed of a strong narrative sense, The Great Silence is a compelling read. The author, Juliet Nicolson, is the granddaughter of Vita Sackville-West and Harold Nicolson. His personal writings are among the many historical documents and memoirs referenced in the book. She was also fortunate to be able to interview several centenarians and near-centenarians—still-living survivors of the time. 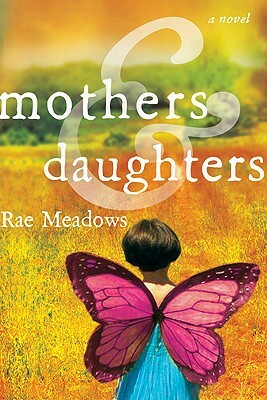 If you enjoyed Pat Barker’s Regeneration trilogy, Robert Graves’ Goodbye to All That, or Mary S. Lovell’s The Sisters: The Saga of the Mitford Family, you will love this book. This Wednesday, March 16, at 7 p.m., Holly Tucker will read from and sign her new book, Blood Work: A Tale of Medicine and Murder in the Scientific Revolution, a fascinating history of blood transfusion and how it became embroiled in contentious religious and ethical debates in 17th-century Europe. March is Red Cross Month, so Tucker and The King’s English, as well as other authors and independent bookstores, are participating in the Writers for the Red Cross online fundraising event. We have a countertop donation box and Holly will donate 10% to the Red Cross for every inscribed copy of Blood Work shipped, for free, by The King’s English this week. And now, Holly Tucker, associate professor at Vanderbilt University’s Center for Medicine, Health & Society, tells us about how she came to write Blood Work. 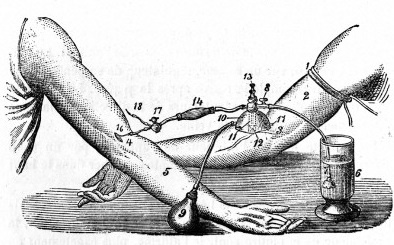 I stumbled on the twisted history of early blood transfusion while I was preparing class notes on William Harvey’s 1628 discovery of blood circulation. And honestly, when I read that the first transfusions used animals as donors I was so horrified and mesmerized that I really don’t remember whether I showed up to class fully prepared that day. For nearly a month afterward, I couldn’t get the idea of these transfusions—which took place long before the discovery of anesthesia and antisepsis—out of my mind. I spent every waking moment pouring over seventeenth-century scientific journals trying to learn as much as I could. Then I stumbled on the Denis case. And my fascination became an obsession. In 1667, a renegade French physician named Jean-Baptiste Denis performed the first human blood transfusions. The first was on a feverish young boy. The second was on a local butcher, probably the same one who provided the lamb for the first transfusion. The third transfusion would be the one that would end transfusion for another 150 years. Denis transfused a mentally ill man with calf blood. The man died—and Denis later faced murder charges in one of history’s first malpractice lawsuits. What I was not prepared for was this: the court records exonerated Denis of all murder charges. But it did find that the patient had been murdered nonetheless—by arsenic and by “Enemies of the Experiment.” I was stunned that historians had never uncovered the identities of these murderers. Who would have wanted to stop blood transfusion in its tracks? And why? So I spent another several years in archives all over: London, Paris, Rome. The more I researched, the more I learned just how scary blood transfusion was to many in the 17th century. Doctors had spent millennia taking blood out; it was entirely counter-intuitive to put blood in. And to make matters worse, there were no guarantees that blood transfusion would not change fundamental characteristics of the recipients. Would humans start to bark? When I first narrowed down the list of suspects, I was pretty sure that I had a good idea of who did it. But the more I researched my suspect (I won’t tell you who, no spoilers! ), the more I realized that he didn’t do it—even if he did find blood transfusion to be loathsome and dangerous. I felt weighed down my research. I was driven to find out the identities of the killers. But at the same time, I had a responsibility to make sure I got things right. I was accusing someone of a crime. And even if these folks are now long dead, I couldn’t get it wrong. I still remember the day that I knew for certain that I had found the killers. For several months, I felt that I was getting close. My husband kept asking if everything was alright, because he noticed how distracted I seemed. On the day that I knew for sure, 100%, without a doubt that I had found the murderers, I called Jon at the office in tears. He was understandably worried when he answered the phone and heard me crying. Finally, the words came spilling out. “I know who did it! I know who did it!” Then we started laughing: it had only taken 350 years. 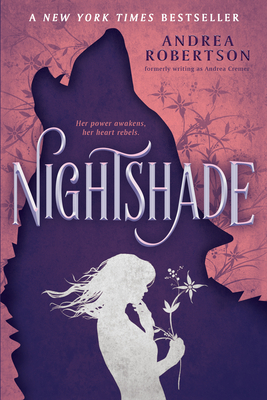 Meet Holly Tucker this Wednesday, March 16, at 7 p.m.! KEENE, NH — In February, 1779, Ebenezer Bragg began to spend the night with Abigail Washburn. Many people in Keene knew about this unmarried liaison – indeed, “girling of it” and “afrolicking” were common practices, and hinted at much more than the shared beds, or bundling, that was an expedient of a time with few inns. Indeed, Bragg’s regular overnights with Abigail provoked jealous journal entries by another young man in the village, who had hopes of his own with fair Abigail, not to mention Hephzibah Crossfield and other young ladies of the town. Abner Sanger, a young farmer, privately slandered Ebenezer as “Lord Debauche” and “Lord Bugger.” Sanger was known “staying with” two girls at once in the summer, so his journal entries struck a historian as envy rather than moral disapproval. As lovers celebrate Valentine’s Day, those aching for a return to traditional romance might be surprised to learn that love in the first years of our country was pretty steamy. By some estimates, one in three New England brides was pregnant in the early Republic, and young unmarried couples often kept their trysts under the same roof as their pragmatic parents, who made sure they knew who the father of any future child was. The Puritans are famous for careful regulation of their community’s moral behavior, especially regarding sexuality. The success of these regulations, though, started to wane in the 1700s. New, feverish religious revival meetings featured “love feasts,” and celebrated a sensualized spirituality. Transformative ideas of individual freedom escaped the political sphere, getting very personal. Add to these larger trends the calculation that as many as 60 percent of Americans may have been under the age of 20 in post-revolutionary America, and next thing you know, you’ve got an era of free love. We know about the Americans’ intimate habits because couples with babies delivered seven months after the wedding had to admit their sin publicly so their children could be accepted in church. Historian Richard Godbeer painstakingly tracks these records in Sexual Revolution in Early America, in which he tells the story of Ebenezer Bragg. Meanwhile, Joyce Appleby’s Inheriting the Revolution takes advantage of the new Americans’ mania for publishing to pry out sexual mores. Americans wrote poetry, diaries, and autobiographies, and they founded newspapers at a rate unseen before. At the same time, Europeans came to observe the new American like creatures in a zoo, and wrote about their findings. Our stereotype of early New England firmly establishes a repressed culture, and this image comes in part from novels like the Scarlet Letter where Hester Pryne wears her letter ‘A’ for adultery. The famous novel, though, was written during the rise of Victorian ideas, with its own hankering for repression. Many factors combined to create the loosening of sexual mores. 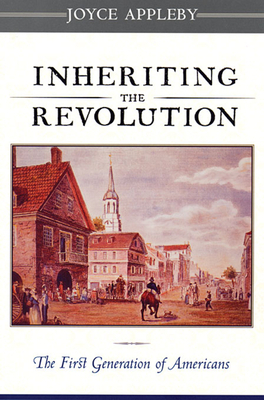 The sons of New England gentleman no longer could expect to receive an inheritance of land, as the parcels had been divided and subdividing for generations by the time of the early Republic. Parents’ financial authority slipped, and new entrepreneurial opportunities allowed young white men to walk away from their fathers’ control. Meanwhile, the thunderclap of revolutionary ideas, especially a right to happiness, affected men and women alike. A new era in publishing replaced the dry, humorless self-help of religious elders with racy novels like The Coquette. Said to be the third book people bought, after Webster’s and the Bible, The Coquette cast a sympathetic eye on a young woman caught between a boring but upright minister and a handsome rakish Southerner. It did not turn out well for the heroine, but neither did the strict rules survive such intimate scrutiny. Ironically, one of the ways a greater permissiveness took hold was because of a new social institution established by the Puritan elders as they grasped for control: the singing school. Puritan sermons emphasized the consequences of sin, with images of fire and brimstone moving people to the kind of paroxysms of fear typical of horror movies today. Those charged sermons though were contradicted by the psalm singing during the service. Most people didn’t have songbooks, didn’t know the words, didn’t learn musical notation – so singing in church was a decidedly improvisational affair. People twirled their notes in a way the elders found quite contradictory with the stern reckoning they were after. To stop all this noodling around with music, the elders instituted singing schools. The only place to meet, though, that was warm enough in winter and big enough to hold the crowd, was the local tavern. And the people who came to learn were mostly young people. Both sexes. The songs tended to be old folk tunes and the singing masters struggled to get the tavern crowd to switch from the old, quite gamey lyrics to the scriptures imposed on them. Meanwhile, beer flowed. The Puritan elders soon realized their mistake but it was too late. Singing schools became one of the most popular entertainments of the latter 18th century, and one can imagine many a Valentine celebrated there. For those who want to old-time romance, the type of singing that loosed the bounds of propriety in the early Republic today still exists. It’s called ‘shape note singing” or sometimes Sacred Harp singing, and there are regular ways to join in. Go to http://www.mcsr.olemiss.edu/~mudws/regular.html for more information. Salt Lake City’s Dorothee Kocks is a former resident of North Berwick, Maine, is the author of The Glass Harmonica: A Sensualist’s Tale, published by RosaMiraBooks.com in January, 2011. 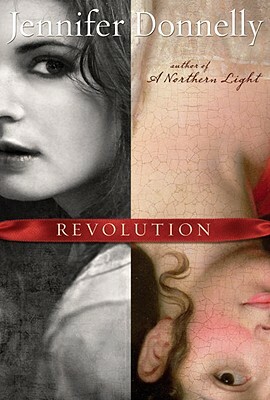 The novel takes place largely in Portsmouth, NH in the early 1800s. She invites comments at www.dorotheekocks.com. The New Yorker is ruining my reading. I am consistently two issues behind, not counting the one I am currently perusing and I hate living with the guilt. It is sort of a damned if you do damned if you don’t dilemma. My history with The New Yorker has its roots in childhood but I did not realize it until my mother’s death. I cannot recall ever reading the magazine until I actually subscribed to it when I turned thirty and was living on the Wind River Indian Reservation. It was a cultural anachronism: working as a physician in the Indian Health Service and reading about cultural events in New York City. When my mother died we discovered a couple of boxes full of old New Yorkers in her basement dating back to World War II. Combing thru issues nearly fifty years old was a trip. The December 1, 1945 issue cost fifteen cents. The lead article was a profile of The Reader’s Digest. Stuart Little by E.B. White was selling for $2.00. “The House on 92nd Street” was playing at the 68th Street Playhouse. “The Glass Menagerie” was described as an “uneven but generally effective play” in The New Yorker’s theater listings on page 2. In the interest of honest disclosure I have to say that I did not recall these details: I found them in my computer files on disc 7 of my Complete New Yorker, a computer offering I purchased for $100 a few years ago. Eight discs contain every New Yorker from 1926-2008. But looking at the magazine on the computer is not the same as holding the magazine in your hands. I carry the issue I am reading everywhere: to movies, to restaurants and coffee shops, even to my office despite the fact that I rarely have a chance to read it. It just makes me feel more comfortable having it with me most of the time. I love the familiar way the ink smears from carrying it around in expectantly sweaty hands all day. There is a certain connectedness amongst New Yorker readers. We all suffer from the same angst. The basic issue is what to do with issues, especially those you have already read. For some reason it is very difficult to throw them out; recycling makes you feel only a tiny bit better. There is something sacrosanct about the magazine. New Yorkers also complicate vacations. On the one hand vacations are terrific, utilitarian moments in space when you can catch up on your reading without guilt. New Yorkers fit into a knapsack, purse or back pocket (folded) and thus are extremely versatile reading matter. But by the time you return home there are new issues to deal with. There is also the notion of ineffable hope. I have put unread issues, most often the fiction issue, aside for reading in the future. And there they remain until I discover them in the recesses of the studio. I take them out, look at them wistfully, and return them to the nesting place. New Yorker readers are their own unique support group. We call others inquiring if they have read a particular article, not as an act of one-upmanship, but rather as an act of literary camaraderie. This query becomes most disturbing when you realize that your friend is ahead of you and actually has read the most current issue. This can become a lesson in temperance rather than competition. The equanimity that results is almost Buddha-like, leading you to accept what is as what is. The next step is not to feel you have to read The New Yorker before you can get on with your life. Jonathan Franzen’s Freedom has sat on my night table, its bookmark wedged between pages 89 and 90, for the past month. It is time to move on.